As spring approaches and the weather gets warmer and sunnier, it is finally time to start thinking about spring and summer outfits again. With the lighter evenings and warmer weekends, come more opportunities for social summer BBQs and garden parties. Spring and summer are the perfect season for social outdoor gatherings. With the arrival of the warmer weather, it is not only time to start thinking about summer home decorations, but also about what to wear during the milder days. As the weather in spring is often still changeable, spring jackets can be a useful and stylish option for preparing for all eventualities. 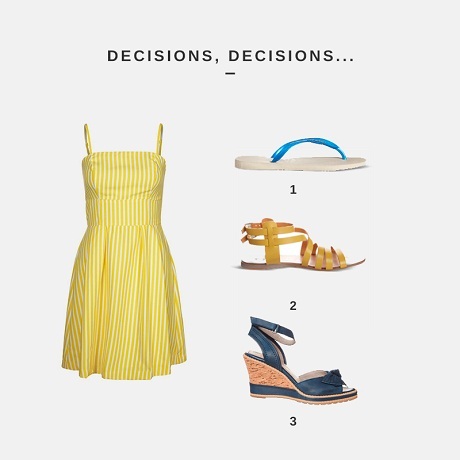 As temperatures rise, the fashions become more revealing – choosing the right pieces to flatter your figure is the key here to looking your best this summer. Looking at the summer trends for 2013, there are definitely a few defining features that can already be made out. Some of them indicate that the minimalist black and white monochrome will be one of the the defining summer trends this year. Other trends include the return of floral prints, graphic pop art elements and turquoise one-piece-dresses. These trends can also be found in Zalando's women's clothing selection, which allows for a unique and individual mix of styles. Spring-Summer 2013 fashions are all about making a statement and expressing your individual sense of style.